Consider the size of your mouth when picking a toothbrush. If you are straining to open wide enough to let the brush in, the brush is probably too big. The handle has to be comfortable. It should feel as comfortable as holding a fork when you eat. The more comfortable it is in your mouth and your hand, then the more likely you will use it and use it properly. Let’s take a look at the Pros and Cons of the two and find out. Less work for better results. Studies have shown that electric toothbrushes do a better job of cleaning your mouth and removing plaque and debris. One last thing to point out: there have been a few studies that prove electric toothbrushes remove statistically significant more plaque compared to manual toothbrushes and are better at fighting gum disease. Despite the studies, your oral health will remain healthy (despite which type of toothbrush you use) as long as you consistently take care of your teeth. If you are on the fence of buying a powered toothbrush, talk to one of our dentists the next time you come in for a check up. Softly brushing your teeth at least twice a day is recommended. ”Three times a day is best.” With too much time between brushings bacterial plaque will build up, boosting the risk of gum inflammation and other problems. Brushing should last at least two minutes,three minutes is even better.Most people fall short of both time lines. It is often recommended to divide the mouth into quadrants and spend 30 seconds a quadrant. Some electric toothbrushes include built-in timers. Some toothbrushes have angled bristles, others straight. So is one type better? NO…..”It’s more related to technique than the way the bristles come out. What is important when buying a toothbrush? Bristles that are too stiff can aggravate the gums. It is recommended to use a soft-bristled brush. Bristles should be sturdy enough to remove plaque but not hard enough to damage [the teeth] when used properly. Long horizontal strokes along the gum line can lead to abrasions. Aim your bristles at the gum line at a 45-degree angle and do short strokes or vibrations. Softly brush up and down your teeth, not across your teeth. The strokes should be vertical or circular, not horizontal. While brushing your teeth three times a day is ideal, but brushing twice is must. Excessive brushing could expose the root of the tooth to irritation, and that could in turn irritate the gums. 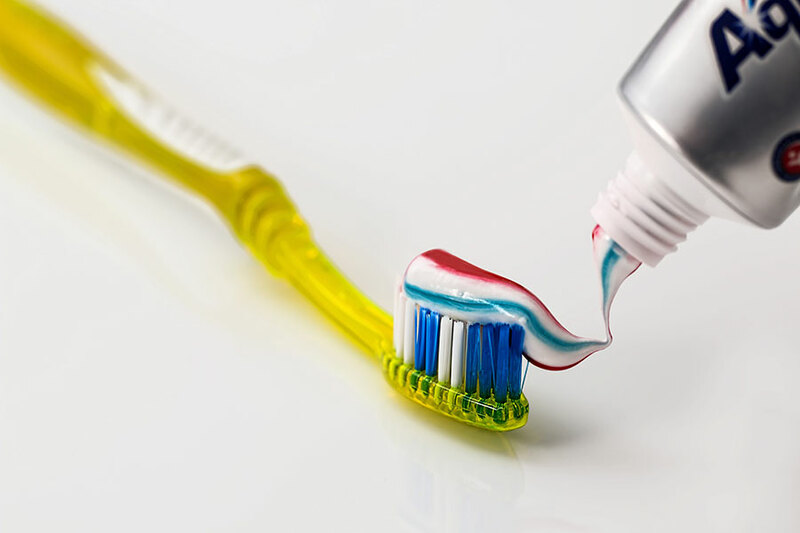 Brushing vigorously can also erode tooth enamel. The trick is to brush very gently for two to three minutes. Most people forget to brush the inner surfaces of teeth — the surface that your tongue presses against. The plaque you can’t see is just as important to remove as the plaque you can see. Many people start brushing the same part of their mouth over and over. Start in a different place so that you don’t get lazy in the same area of your mouth. Bacteria can grow on an un-rinsed toothbrush. Then, the next time you brush your teeth, you may actually put old bacteria back in your mouth. If you have a toothbrush that’s perpetually moist, it will cultivate more bacteria. If the bristles stay soggy, you can mis-shape them as you use the brush. Or it might be a breeding ground for bacteria. It’s a good idea to shake out the moisture, then recap it with a cap that allows air in. It is recommended to get a new brush every three months, or even sooner if the bristles look frayed.Once the bristles lose their normal flexibility and start to break apart, change your toothbrush. Some brushes have coloured indicators that alert you when they need replacing.